I was starting to worry that I had already read all the Sarah Dessen books that I would really love from her, but this book luckily turned the recent tide of alright-but-not-amazing books from her (and when I say that, I don’t necessarily mean her most recent books, just the ones I’ve read most recently). This book is just as formulaic as other Dessen books – Annabel is a shy girl for the most part, with a (former) outgoing best friend who seems to be the opposite of her; there’s family drama (although, for once, there aren’t any dead/divorced/absentee parents, which is a first for me with her books); and a guy enters the picture almost immediately. I quickly learned that I don’t want to read Dessen books for original formulas and characters that drastically change from book to book, because that’s clearly something I’m not going to get from her. And yet – I didn’t mind it with this book. Yes, Annabel is shy, but she also models, which changes her personality slightly, as least in my opinion. Yes, her best friend was outgoing and boy crazy and everything that Annabel didn’t seem to be, but there were obvious problems from the beginning and Annabel did have former friends and casual friends who were more similar to her. Yes, there’s family drama, but her two older sisters seemed like individual people to me and I was genuinely interested to read about them and know what would happen (I was actually a bit more interested in her family’s story than Annabel’s story, but that’s not important). 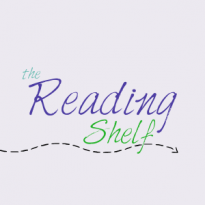 And, yes, there is indeed a guy (what book, contemporary or otherwise, doesn’t seem to have a love interest in the YA world? ), but even he seemed different. He was a bit of a loner, but rather than being the extremely hot guy that all (and I mean all – apparently gay girls don’t go out in public, because all the girls always seem to look at the love interest, who obviously only has eyes for the protagonist and doesn’t even notice anything) girls gawk at and that you wonder why he’s even considered a loner, he actually seems like a loner. He’s very big, obsessed with music (to the point where he seems annoying and know-it-all-y but it also makes me seem like a real person), and he seems slightly awkward but unconcerned with that awkwardness. He seems real, like many other characters. So, overall, I really liked this book. I read it all in one day (well, technically two, since I finished around 1:30 or 2ish in the morning), and while that was partly to do with sharing a hotel room with a snoring father and being unable to fall asleep unless I’m about ready to collapse from fatigue, it was also because I just wanted to know what was going to happen to these characters. While the secondary characters were more interesting to me, I cared about all of the characters in general. 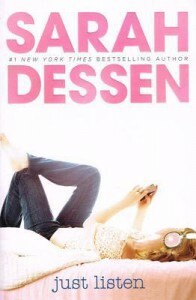 A new favorite from Dessen, which was a relief after some alright-reads from her.